CFD trading can be very rewarding, but only if you know all of the ins and outs. These financial derivatives have not been around for very long. Of course, this does not mean that their popularity is not growing, because it is very much so. Many advanced traders prefer CDF trading, since it is virtually a form of trading that is done indirectly. This is much different than Forex trading, because it entails more about the price movement of the global financial market and less about buying and selling. If you are unfamiliar with CFDs, you must take the time to educate yourself on the topic, before setting out on a trading adventure. A CFD or contract for difference is basically a contract or agreement between the broker and a buyer. The terms of the contract call for the buyer to pay the broker or vice versa, when the contract ends. The difference between the current and final price is the amount of the payout, but this goes without saying. For instance, if the contract price increases, the buyer will “win”. In this case, the broker will need to pay the difference to the buyer. Now that you know what a CFD is and how it works, you probably want to know more about the actual process. The investor will select a specific stock or security to focus on. Once this is done, an intellectual prediction will need to be made, but only if you believe that the stock price will increase. The only way for you to see success in this type of trading is if you are familiar with the global financial market. If the stock price goes up, you will take home the winnings and if it doesn’t, then you will be forced to pay out the difference to the broker. While, CFD trading offers a lot of excitement for investors that gain success in the market, there are some underlying factors that must be considered. There are some types of CFDs that will cost slightly more than others. This is something that must be considered carefully, when choosing what type of security you want to get involved in. To help you better understand the costs each must be broken down and studied intently. Holding Costs – can vary significantly, depending on how long you hold onto the contract. However, treasury and commodity forward contracts are spared from holding costs. On buy positions for share CFDs, you should expect to pay the interbank rate of the currency of the relevant share and a 2.5% will be tacked on at the end of the contract. Margin Call – Trading with leverage can be very beneficial, but there are many risks involved. With leverage, your investment can quickly turn sour and results in you losing more than the overall total of your margin. When this occurs, your broker will force you to make reimbursement for the overages. The fees involved will depend solely on your broker of choice. With CMC Markets, the fees are minimal, but they could potentially add up very quickly. In order to get your account back into good standing, you will need to cover these fees immediately. If you do not, the broker could take action and impose additional charges. You can rectify the situation by selling securities or depositing money directly into your broker account. It is in your best interest to do so immediately. Commission Fees – These fees will vary from one broker to another, but are generally around 0.1%. The CFD costs are known as the “spread”, which is the difference in the starting and end price of the asset. The investor will pay a commission on opening and closing, which will be around 0.2% in total. If you are planning on holding onto the contract longer, you should expect to be charged a finance charge or interest rate. Of course, there will be another 2.5% fee tacked on top of this amount. 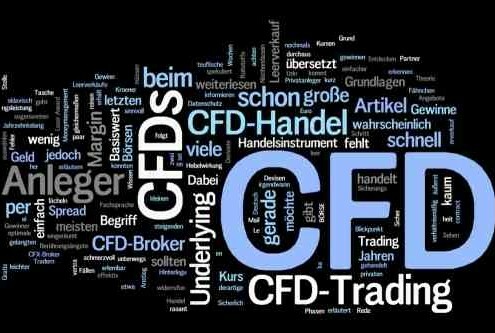 If you are planning on trading CFDs, it will be crucial for you to get educated first. This is a great way to invest and earn huge winnings, but if you are not prepared you will not be as successful, as you would have hoped. You must remember that CFD trading will be more profitable for all investors, if they choose the short-term option. Even if you do get lucky and win your first few contracts, the overnight interest rates will dwindle your profits done to near nothing. Is A Gas or Electric Fryer Best For Your Needs? How To Select An Ideal Workers’ Comp Attorney?